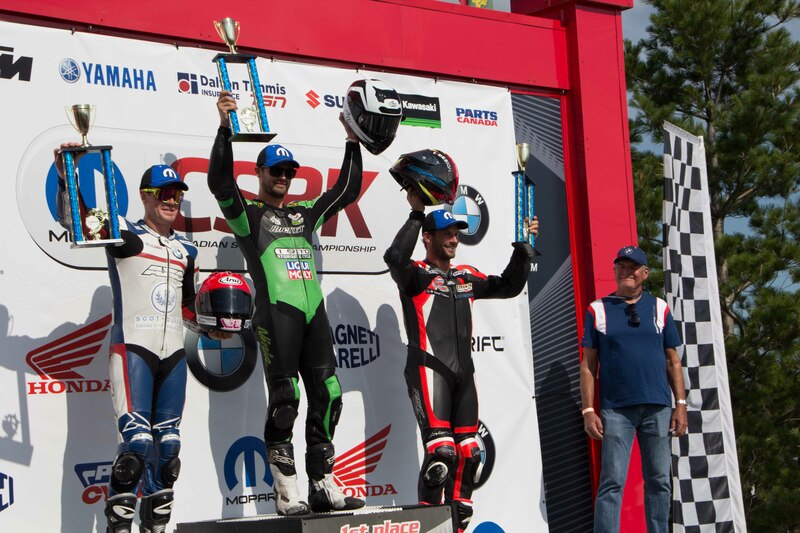 Port Perry, Ontario (September 4, 2018) - The fifth and final round of the 2018 Canadian Superbike Series (CSBK) took place August 10-12 at Canadian Tire Motorsports Park in Bowmanville, Ontario. 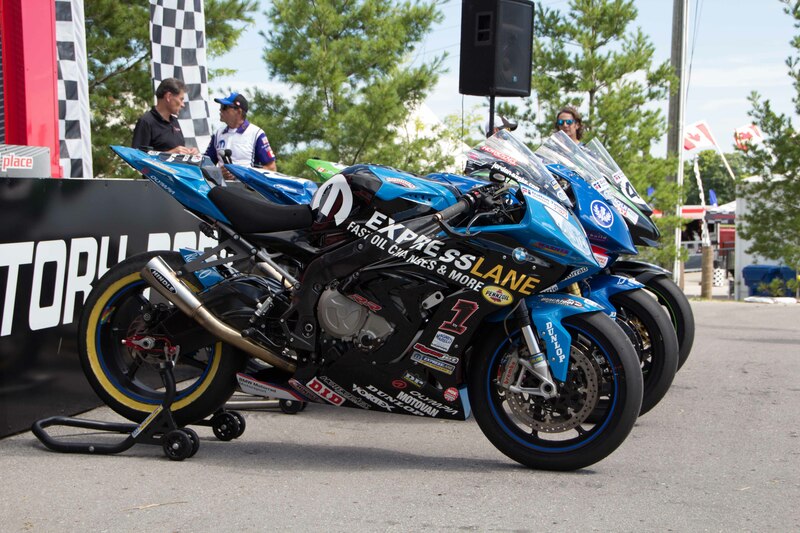 On Friday during practice, Jordan Szoke, on the Mopar Express/Hindle/BMW S1000RR, lost an engine which, unfortunately, seem to set the tone for the rest of the weekend. In Superpole qualifying, Ben Young, on the Scot-Build/Hindle/BMW S1000RR, came in the top spot, followed by Szoke in 2nd and Riedmann in 3rd, who made a return to racing on his Sturgess Cycle/Hindle/Kawasaki ZX-10r. On Saturday, during Race 1, Young started from the 1st position on the grid. The battle was tight, as Szoke, Riedmann and Samuel Trepanier, on the Blysk Racing/Hindle/BMW S1000RR, kept up with the quick pace. Unfortunately, Trepanier crashed out, leaving Young, Szoke and Riedmann to battle it out on their own. Szoke managed to settle in third spot, while Young and Riedmann battled for 1st right to the end. Ultimately, Young crossed the finish line in 1st, followed by Riedmann in a close 2nd and Szoke in 3rd. Trevor Daley, on the One Speed/Hindle/Kawasaki ZX-10R finished in 4th, followed by Michael Leon, on the Royal Distributing/Hindle/BMW S1000RR in 5th place. "It feels so awesome, I'm so happy. It's just amazing," said an exhausted Young. "I got a good start and when I got in the lead I wanted to see if I could break things up a bit, but they all stayed really close and I knew it was going to be tough." "They were really fast out there today, and they have been all season, but I was sort of just along for the ride," said Szoke, who had been battling rare mechanical issues earlier in the weekend. "Ben actually helped me with a motor, which is crazy coming from a competitor, and the bike setup was perfect. But congrats to Ben, he's been working hard all year and he's earned it." After making the return to racing just for this round, Riedmann made it clear that it was all worth it after securing his 1st Pro Superbike win in Race 2. Just like during Race 1, the battle for the top spot was super close. A five-way battle took place during the entire race, with Riedmann, Young, Szoke, Trepanier and Leon all battling and changing positions. It was thrilling, to say the least! It came right down to the finish line with Riedmann coming in 1st, followed by Young in 2nd and Trepanier in 3rd (with Szoke right beside him). Szoke finished in a close 4th place, followed by Leon right behind in 5th place. "I don't know what to say, I'm kind of at a loss for words. I'm just so happy," said a choked-up Riedmann. "It was pretty cool to just come out here with no expectations, and just ride and have fun. It was awesome." 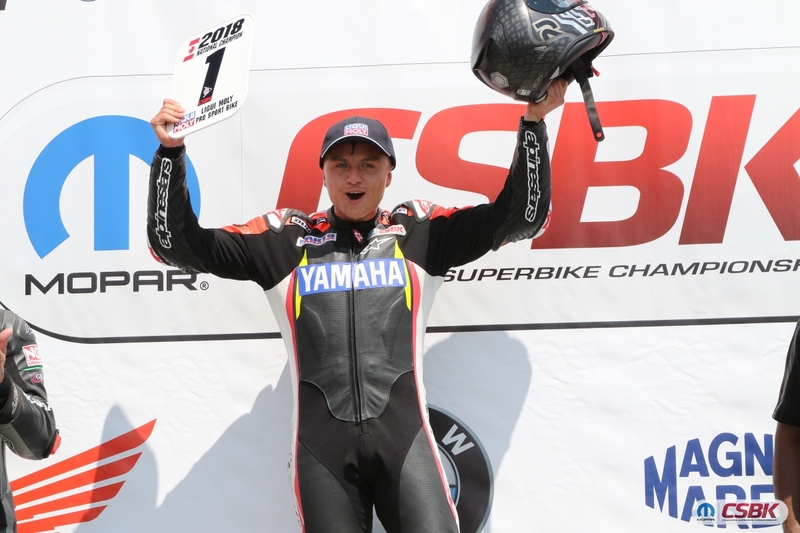 It seems as though Szoke, although plagued with mechanical issues, rode strategically during both Superbike races to claim his 13th Pro Superbike Championship. Dubbed "The Baker's Dozen Championship" by the team, Szoke was ecstatic on taking home the number 1 plate again. "Definitely one of the tougher championships I've won, that's for sure," he laughed. "But we battled through, and it was a tough race and a tough season. It's been a bit of a rollercoaster year, so this one means a lot." Szoke's team had their streak of winning the 'Team of the Year Award' come to an end as Ben Young's team was chosen for 2018. The team was very happy and shocked, to say the least - their efforts have certainly paid off after such a successful year and an especially amazing end to the year. 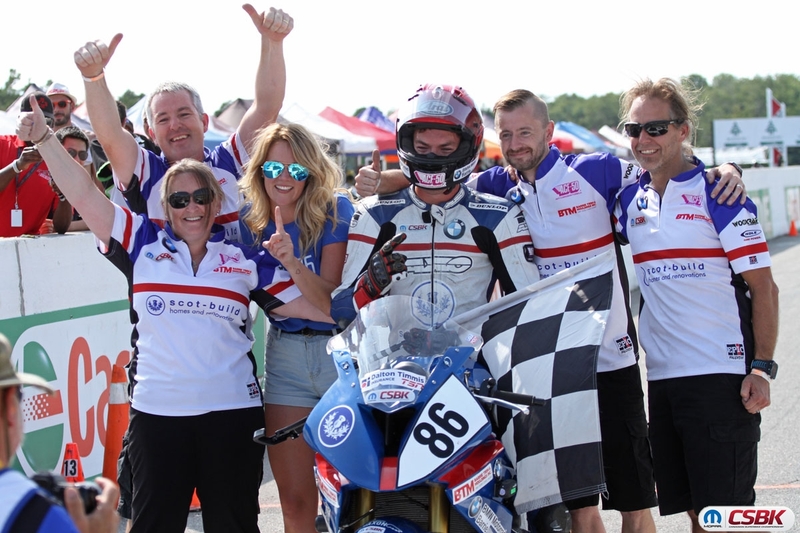 In the Liqui Moly Pro Sportbike Race 1, Tomas Casas, on the Peterborough Cycle/Hindle/Yamaha YZF-R6 secured another Championship after battling with competitors Mitch Card (Yamaha YZF-R6) and Jacob Shaw-O'Leary (Honda CBR600RR). An unfortunate incident took place in the last lap, which involved Card and Shaw-O'Leary, giving Casas the guaranteed #1 spot in the race. Casas crossed the finish in 1st, followed by Louie Raffa in 2nd (Honda CBR600RR) and David MacKay in 3rd on the MackAttack Racing/Hindle/Kawasaki ZX-6R. "Oh man, that was one of the closest races I've ever had! It was such an awesome race," said Casas. "I figured I would wait until the last few laps to make my pass, but unfortunately they all went down behind me. It's been a while since I won here and it's my home track, so I was really hungry for it. It feels great." 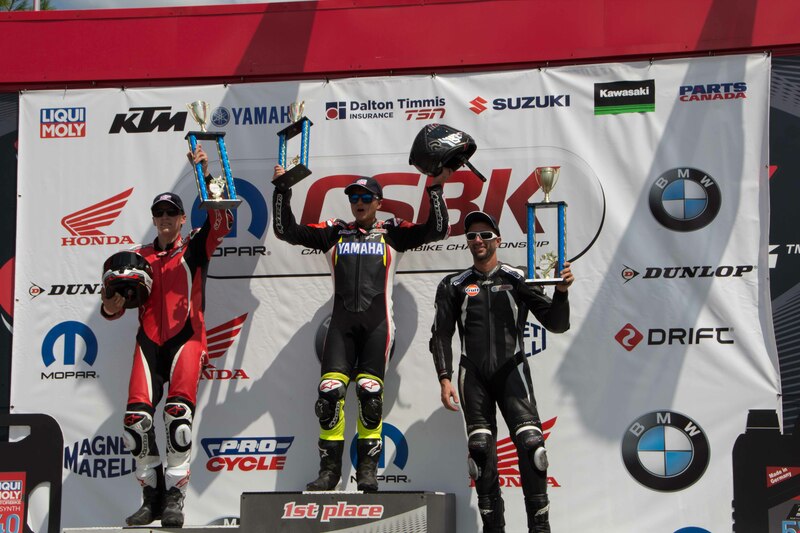 Based on the Championship points standing after Saturday's Liqui Moly Pro Sportbike Race 1, Casas was able to add another Sportbike Championship under his belt. Casas will be sporting the Pro Sportbike #1 plate for another consecutive year. In the Liqui Moly Pro Sportbike Race 2, Casas kept it smooth and consistent and lead right from the beginning, keeping a good distance away from 2nd place finisher Mitch Card throughout the entire Race. 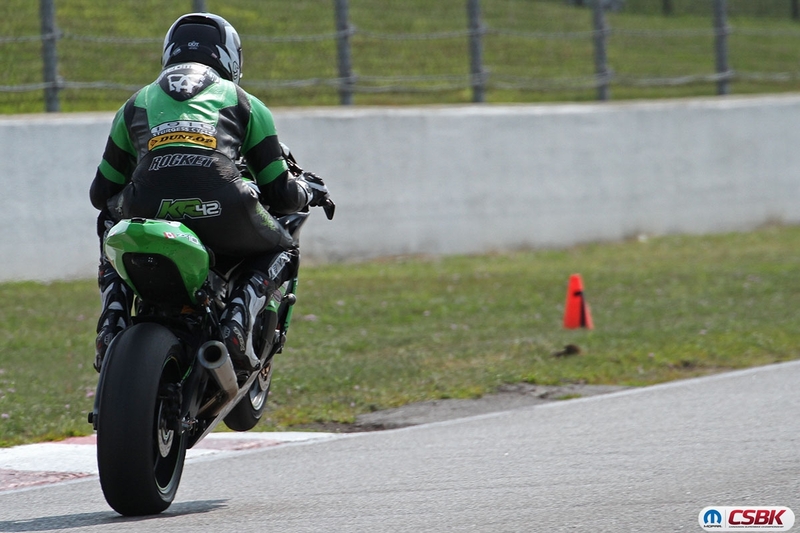 Rookie-turned-pro Sebastien Tremblay, on the Hindle powered Kawasaki ZX-6R finished in 3rd position. "It was nice to get out in the lead and concentrate on my own thing with no pressure on the championship," Casas said. "It's really cool to close out the year with a win, especially at my home track." In the Amateur Lightweight class , things got a little shaken up as Keegan Gaudet, hailing from Ellerslie, Prince Edward County, won his first ever national race after Jake Leclair, on the Oshawa Cycle/Hindle/Yamaha YZ-R6 unfortunately crashed. Gaudet is a well-known East Coast regional racer who typically races a Hindle-powered Kawasaki Ninja 250. He was brought in to race the Pro Cycle/Hindle/Honda CBR500 on a track he has never raced before. Needless to say, Gaudet was fast enough to keep up and claim the win. Connor Campbell (Kawasaki Ninja 400) came in 2nd place, followed by Jason Colangelo (Yamaha YZF-R3) in 3rd place. In Race 2, Leclair was back at it and was finally able to call the Championship his by winning the race, thus finishing top in the Championship points. 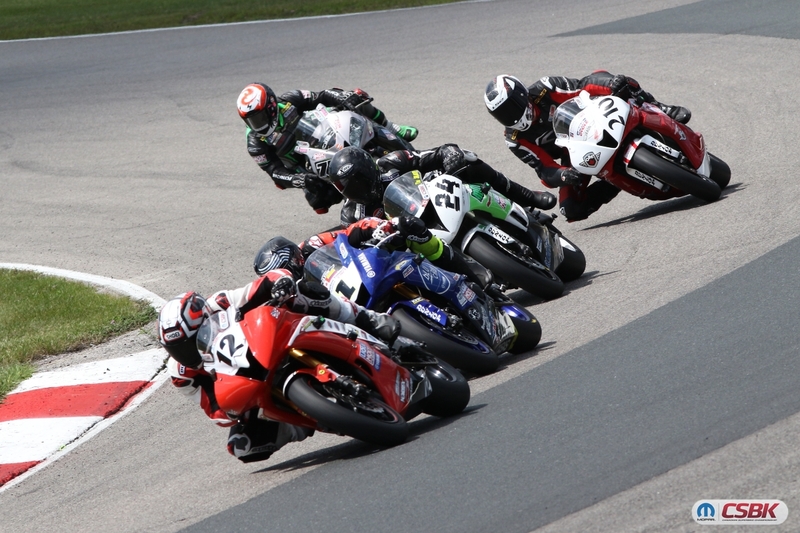 Campbell came in 2nd, followed by Ben Leclair on the Oshawa Cycle/Hindle/Yamaha YZF-R3 in 3rd. This was the first time both Leclair brothers finished on the podium together. 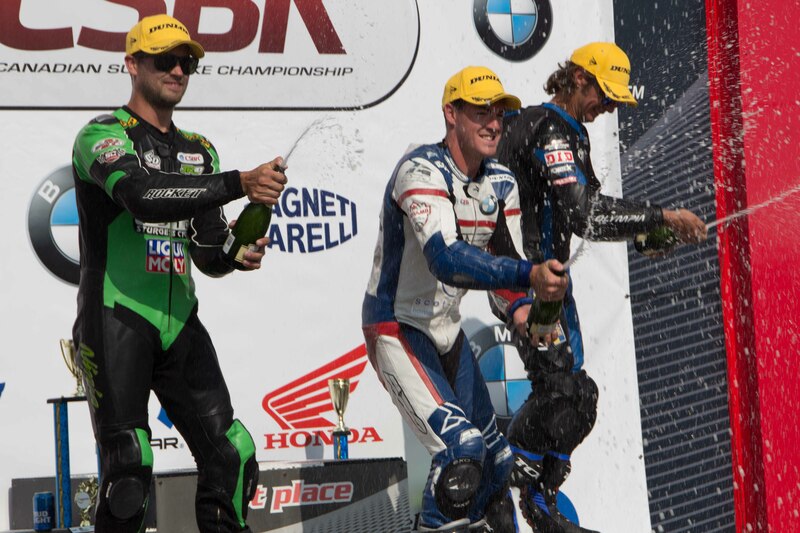 That wraps up the 2018 Canadian Superbike Championship Series. Congratulations to all of the competitors and teams who raced in the series this year. We can't wait to see what's in store for 2019! 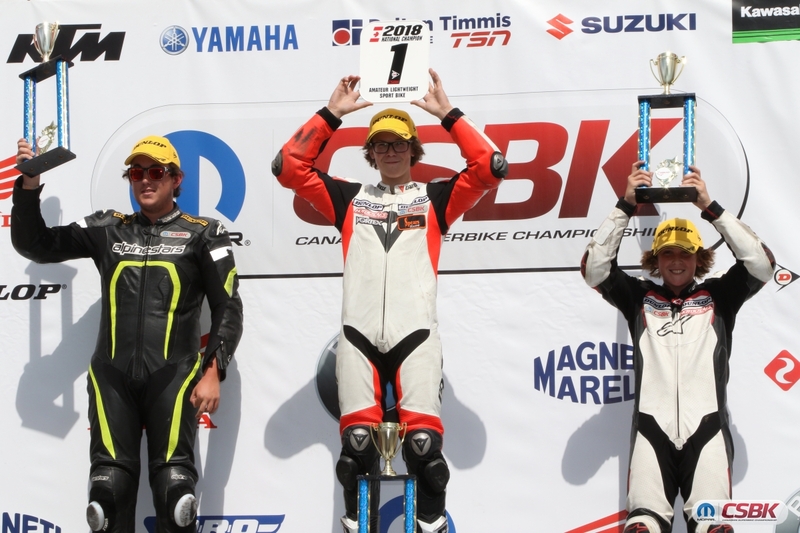 For more information, including rider bios and final championship standings, check out the Canadian Superbike Championship website. See you next year! 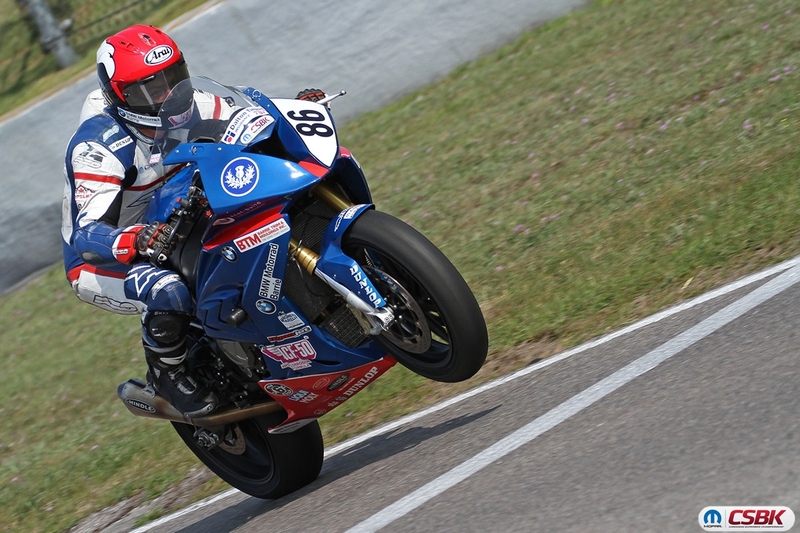 Do you have a Yamaha YZF-R3 like Amateur Lightweight rider Jake Leclair? If you're looking to get amazing sound, great performance increases and noticeable weight savings (in comparison to stock), pick up our super lightweight performance producing Yamaha YZF-R3 Evo Megaphone or Evo Muffler full system or slip-on. 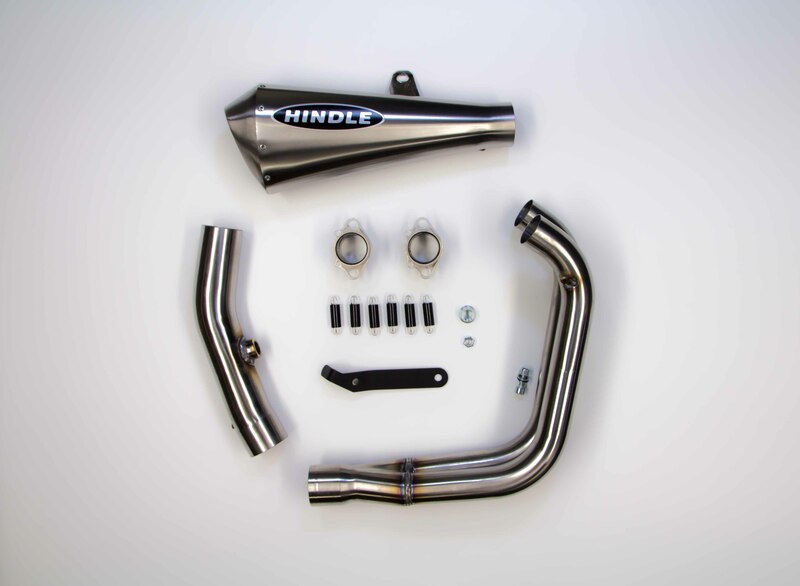 Available for model years 2015-2018, these Hindle Exhaust products are proven to keep you at the top of your game. Our systems are designed in-house in our facilities in Port Perry, Ontario and are extensively tested by amateur and pro racers worldwide. The exact same systems that our Hindle racers use are what our customers can purchase for their own bikes. Put your trust in Hindle Exhaust to get you to the top of the podium! Shop our easy-t0-navigate website here or contact Woodcraft Technologies in the USA to order.